They're friends and coworkers, so when they die, it's not only a personal and professional loss but a challenge: How can you grieve and get your work done, too? 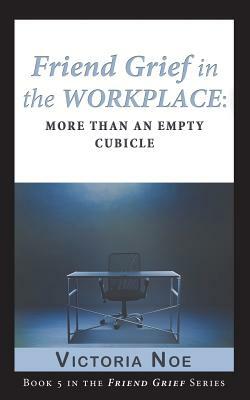 In the fifth book in the Friend Grief series, Friend Grief in the Workplace: More Than an Empty Cubicle you'll meet people whose friends were coworkers, too: in a TV newsroom, a rectory, a Broadway show and on a baseball diamond. In those stories and more, you'll learn how they met that challenge and continue to honor the friendships that lasted longer than 9-5.